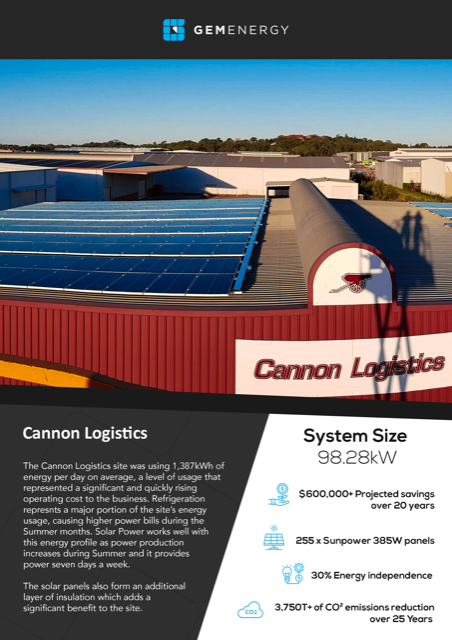 Cannon Logistics is proud of our recent installation of 255 solar panels to the roof at our depot in Lytton, east Brisbane. The solar panels are part of our commitment to be an environmentally friendly company, and will lead to a 3,750T+ reduction of CO2 emissions over 25 years. We pride ourselves on state of the art refrigeration systems, but these systems represent a major portion of energy consumption for our company. To help combat this, we worked with GEMENERGY to get us to a point of 30% energy independence with solar power. Not only will this help the environment, but it also cuts down on our energy costs as an added bonus. This is particularly important as we move into summer and warmer temperatures, which put a greater strain on our refrigerated storage systems. Government figures show that a record of 3.5 million rooftop solar panels were installed by businesses and homes in 2017 alone. 1 in 5 homes now sell their excess energy back to the grid and more than triple the number of batteries were installed last year, than the year before. 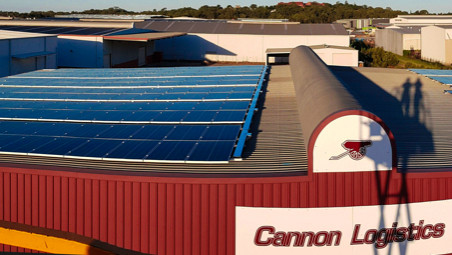 Australia is one of the leaders in solar power usage and our climate is perfectly suited to it. Brisbane in particular experiences on average 261 days of sun each year. We support this movement to cleaner, more sustainable energy and we’re very excited to start seeing the benefits in our own company, as well as the environmental benefits into the future.